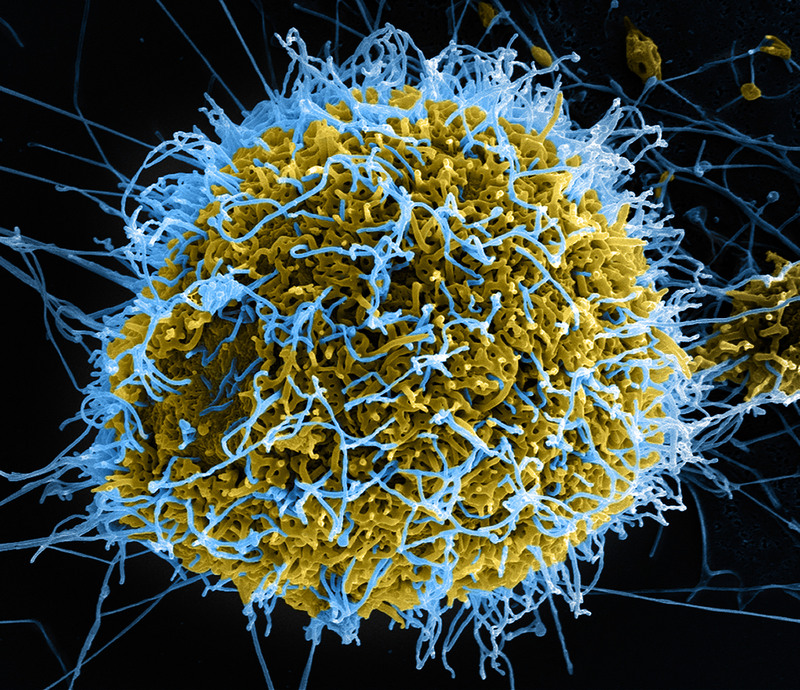 Caption: Colorized scanning electron micrograph of filamentous Ebola virus particles (blue) budding from a chronically infected VERO E6 cell (yellow-green). Long before the current outbreak of Ebola Virus Disease (EVD) began in West Africa, NIH-funded scientists had begun collaborating with labs in Sierra Leone and Nigeria to analyze the genomes and develop diagnostic tests for the virus that caused Lassa fever, a deadly hemorrhagic disease related to EVD. But when the outbreak struck in February 2014, an international team led by NIH Director’s New Innovator Awardee Pardis Sabeti quickly switched gears to focus on Ebola. 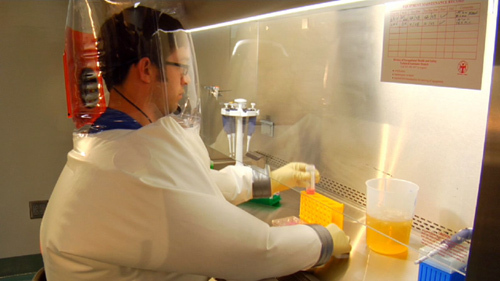 In a study just out in the journal Science , this fast-acting team reported that it has sequenced the complete genetic blueprints, or genomes, of 99 Ebola virus samples obtained from 78 patients in Sierra Leone. This new genomic data has revealed clues about the origin and evolution of the Ebola virus, as well as provided insights that may aid in the development of better diagnostics and inform efforts to devise effective therapies and vaccines.